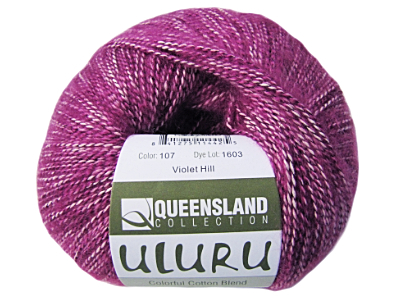 Queensland "Uluru" colorful cotton blend yarn. 55% cotton, 26% acrylic, 19% polyester. 410 yards.